On Thursdays, we send out a weekly community email about our Fabric Of the Week contest, along with any other important news for people who use Spoonflower. Yesterday's email had the subject line: "[Spoonflower] Vote For Halloween Masks + Border Print Winner". We send our email to a large list of people — around 50,000 — who have opted-in to receive the weekly email from us. We don't send it to anyone who has not opted in, and we try to make it really easy to unsubscribe if someone decides he or she does not want to hear from us. To deliver our weekly email, we use a third-party delivery service that specializes in email marketing and list management. In the past we've always been very pleased with the service because the people there share our hatred of spam and our respect for privacy. Yesterday, however, our email service provider had a problem. They released a new version of their software and, along with other bugs, their email servers crashed while sending out a lot of email campaigns, including the weekly email from Spoonflower. From what we can gather the email server crashed and rebooted several times and in the process sent our email campaign multiple times. As a consequence of this glitch, all 50,000 of our subscribers received our email not once, or even twice, but many times. One person wrote to tell us he'd received it 20 times. This is horrifying. 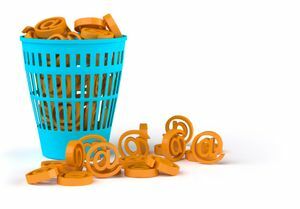 Unsubscribing from our list during this deluge of emails had no effect on the incoming duplicates because the campaign had already been sent — the servers were already in the process of delivering the emails… over and over and over. We're posting about this because we want to explain how and why we inadvertently became spammers. Lots of folks took the time to write to let us know that something was wrong and we're grateful for their help in identifying the problem and for their patience. We also want to tell everyone we are very sorry this happened. We will work hard to make sure we never clog up inboxes like this again!